Since Halloween has turned into a season - and a rather lengthy season at that, running nearly two months - it is easy to forget that the holiday began as a one-night event taking place on October 31, starting at dusk, when costumed children would wander their local streets, blackmailing neighbors with threats of tricks if treats were not forthcoming. Despite the weeks of Halloween theme park attractions, haunted houses, cemetery tours, horror film festivals, and scary plays, the tradition of trick-or-treating continues, and many home haunts operate only on Halloween Night. 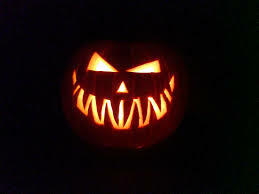 There are also many costume parties and other seasonal events that take place only on October 31. With that in mind, Hollywood Gothique offers this list of Halloween-Night-Only Events in Los Angeles for October 31, 2014. Many other attractions will continue through the first weekend of November, and even beyond; these are the ones you must visit tonight, or not at all. 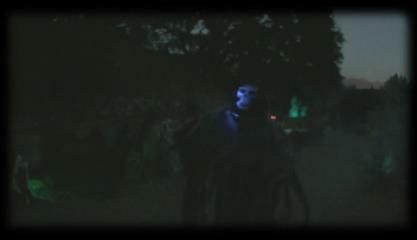 Scaring neighbor hood since 2000, this home haunt reportedly draws a crowd of 3,500 trick-or-treaters every October 31. An article at Altadenablog.com describes “dead bodies, zombies, and monsters…creatures, inflatable displays, doorways, coffins, and even a real hearse,” along with a walk-through “tunnel of darkness.” Opinions seem to vary on whether the Balian Mansion of Halloween is too intense for youngsters: some parents describe it as R-rated, others as a PG-13. 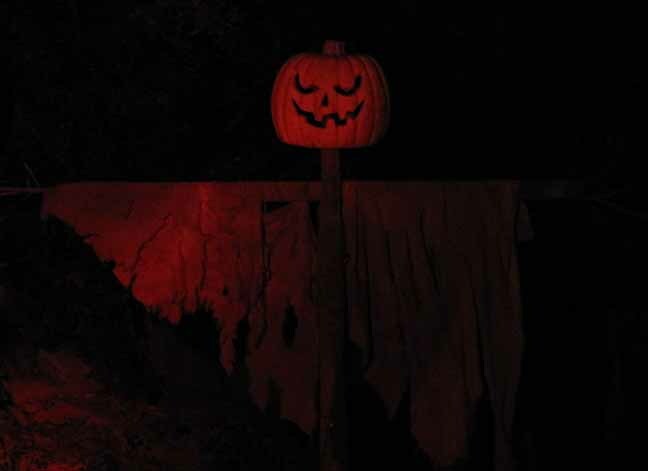 The Curse of the Devil Swamp Haunted Attraction materializes on Halloween Night to haunt neighborhood trick-or-treaters. Hollywood Gothique has never made the trek out to Covina for this amateur yard haunt; however, theirs was the best mini-maze we sampled at this year's ScareLA Halloween convention. As the name suggests, Curse of the Devil Swamp depicts a journey through a haunted swamp; if the full-scale version lives up to the sample we experienced, this one is worth the trip. Quentin Tarantino's New Beverly Cinema presents a trilogy of films directed by Eli Roth: CABIN FEVER, HOSTEL, and HOSTEL II. Also on the bill are some surprises and films selected by Roth himself, who will host the evening. Arclight Cinemas wraps up its month-long series of horror film screenings with Sam Raimi's 1987 gorefest, which details the trials and tribulations of a Ash (Bruce Campbell) who makes the mistake of reading a passage from an old book that resurrects the titular malefactors. 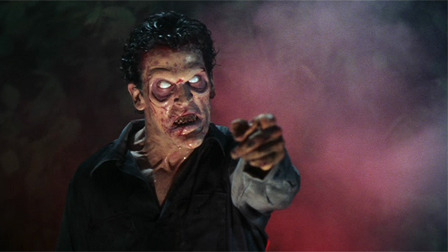 Unlike its predecessor, which went straight for the jugular - and just about any other vulnerable spot - The Evil Dead 2 aims more for the funny bone, sending the geysers of blood so far over the top that you have to scream - with laughter. 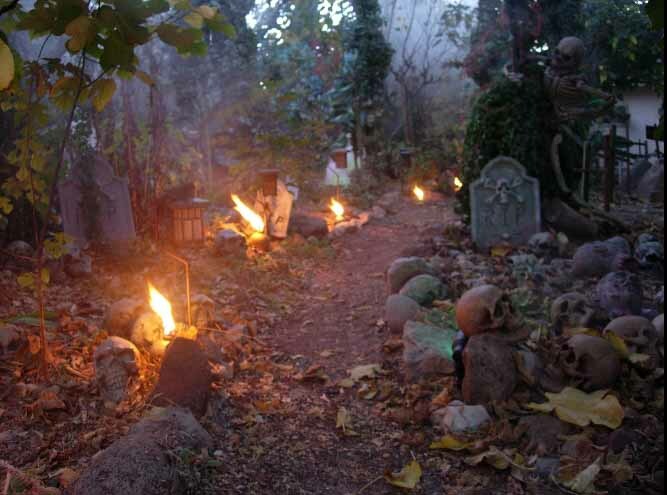 Located in a house once owned by silent movie comedian Buster Keaton, this Halloween yard haunt features a cemetery that seems endlessly extended thanks to strategic use of mirrors. That may not terribly terrifying when you read it, but in person the illusion is startling and remarkable. We have not heard a direct confirmation from the proprietor of the Forest of Mirrors, but we have been told second-hand that the haunt will be open as usual, on Halloween night from 6pm until 10:30pm. The event takes place on Halloween night from 6:30pm to 8:30pm. Description: Montana Avenue Merchants Association presents its annual Halloween Hop, with fun for kids of all ages! Costumed trick-or-treaters are invited to safely stroll Montana from 6th to 17th Streets, where numerous merchants will offer candy and other treats. Email montana.santamonica@gmail.com for more information. The event takes place on Halloween evening from 3pm to 6pm. 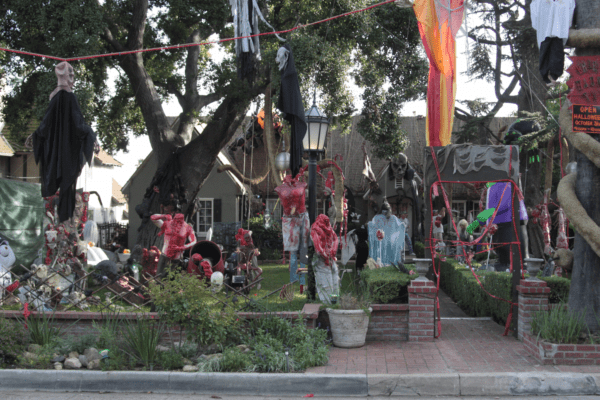 This yard haunt is situated in a Los Angeles neighborhood overflowing with Halloween spirit; many houses are decorated, and the sidewalks overflow with trick-or-treaters. The yard itself is loaded with mannequins of all shapes and sizes, many of them showing mechanical motions. 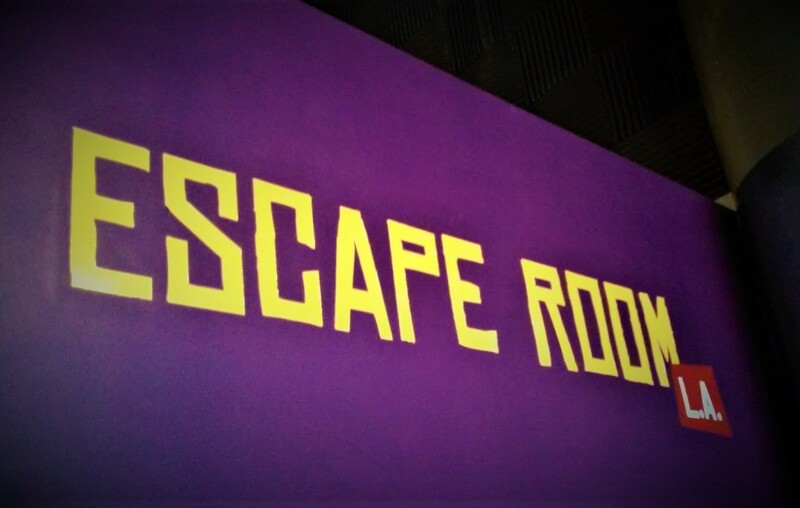 There is no walk-through maze, but you do have to maneuver along a walkway between some fences to get to the front door for candy; the escape route takes you past a upright coffin that - surprise! - turns out to be occupied. Although the display is up for most of October, live monsters haunt the yard on Halloween Night only, starting at dusk and lasting as long as trick-or-treaters show up. Cinespia, FYF and Ace present their first Halloween bash at the allegedly haunted 1920s movie palace. 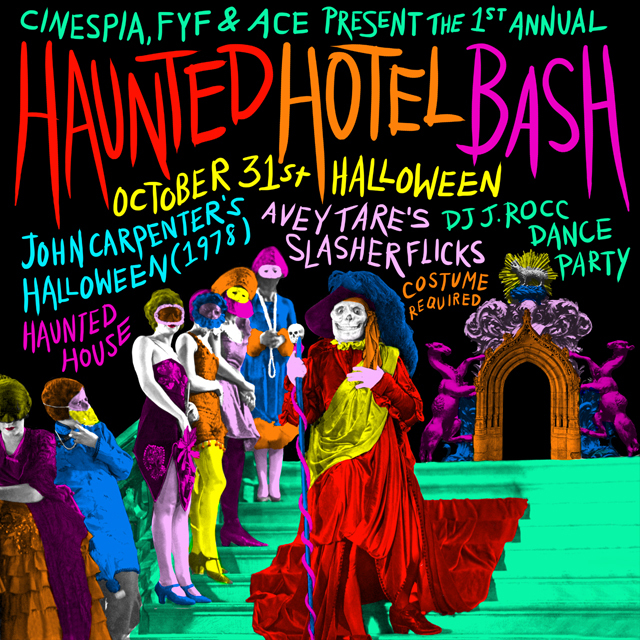 The event includes a screening of a restored print of John Carpenter’s HALLOWEEN, followed by live entertainment on stage, then a costume dance party begins at midnight. Guests are invited to visit the "Haunted Hallway" upstairs and view the theatre’s ghostly past in a Halloween experience designed by Cinespia. 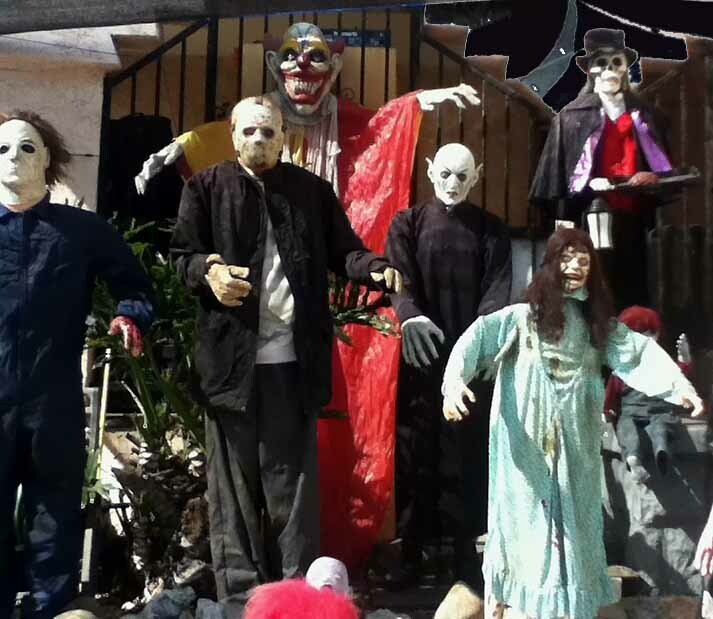 Haunting since 2002, this amateur effort in the Hacienda Heights neighborhood of Los Angeles promises a bigger and scarier Halloween every year. Starting in the front yard, a walk-through labyrinth wraps around the house, through the garage, and then an additional maze is built on the end. The scares are reportedly too intense for younger children; however, if a child enters, the monsters are alerted on a radio to tone down their act. 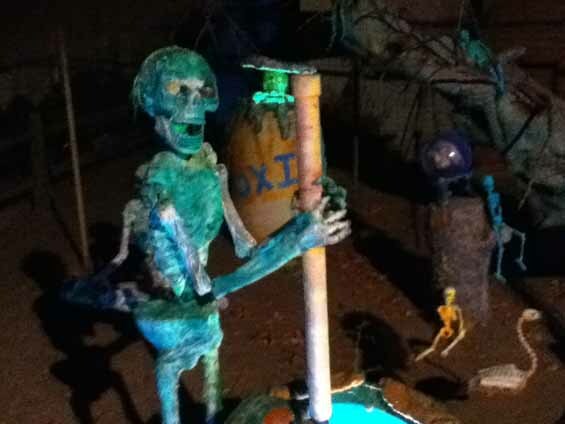 "A large number of intricately-carved jack-o-lanterns (sometimes 20-plus) mixed in with a graveyard scene, which is decorated with skeletons, masks, tombstones, lighting, mist, and electronics. Music plays in the background. Although atmospheric and generally spooky, it is family friendly. There have been instances where really, really young kids have run off crying, although most are fascinated, and their parents love it. We also give out full-sized candy bars rather than the 'fun size' candies. Although the family members wear costumes, there aren’t any actors in makeup or masks. The decorations are confined to the front yard and a hillside on our property." 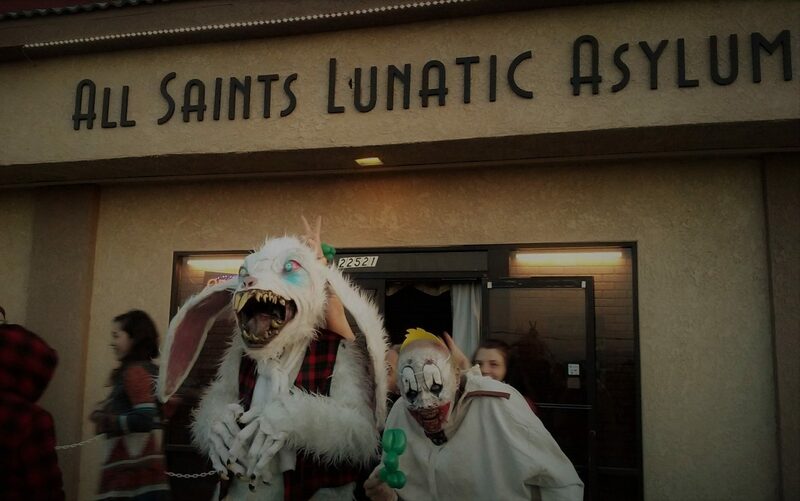 Runs on Halloween Night from sunset until 10pm. The Los Angeles County Museum of Art invites you to dress as a work of art for their 11th-annual Costume Ball: The Living Museum. Entertainment includes music, dancing, and a costume contest judged by Hollywood costume designers. 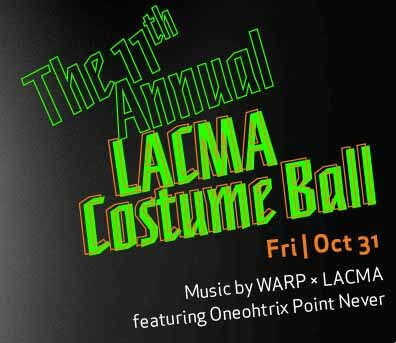 Prizes include $200 of costume rental credit at Western Costume, a year of LACMA membership, and more. Afterward, take a late-night tour of LACMA's exhibits, including The Haunted Screens: German Cinema in the 1920s. Cash bars and food will be available until 1 am. Starts at 9pm on Halloween Night. 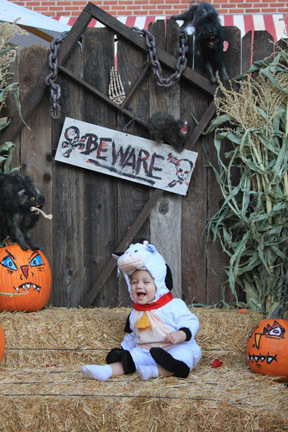 Trick-or-Treating: Let your kids roam through Dark Harbor Village for fun and safe trick-or-treating! Face Painting: Turn your little angel into a frightful ghoul for the evening! Special Entertainment: Live music that is fun and appropriate for the entire family. Kid's Costume Contest: Bring the little ones dressed in their Halloween costumes and compete for terrific prizes! Each contestant must bring in the costume entry form to participate. 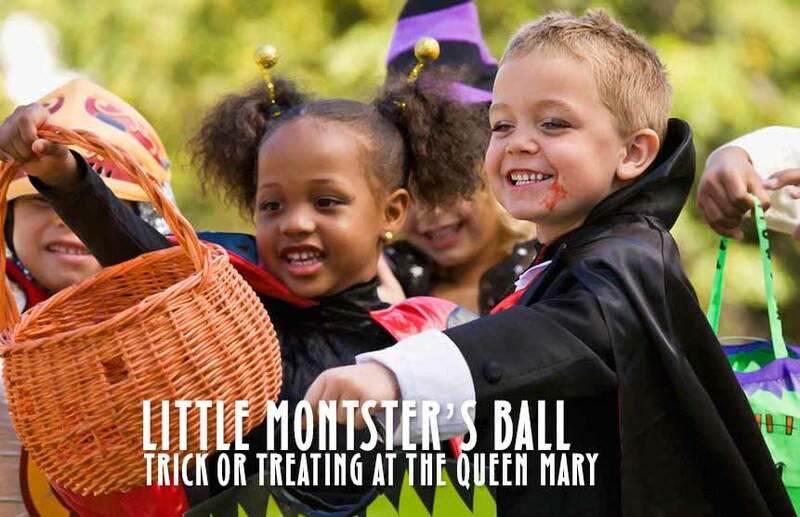 The Little Monsters Ball is a separate admission from the Queen Mary Dark Harbor. Tickets are $10 for adults and children over 11. Children under 11 and under are free with a paying adult, but you need to reserve tickets ahead of time. Takes place on October 31, from 4pm to 6pm. Note: The Facebook Page is for a realty company owned by the person who puts on the haunt; you may find some limited information there. There is also a Facebook event page for 2014. Run on Halloween Night, from 6-11:30pm. 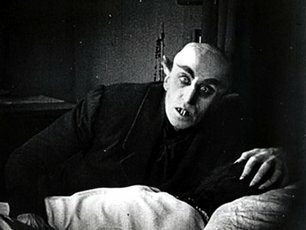 Clark Wilson performs a live accompaniment for the 1922 silent film NOSFERATU, directed by F.W. Murnau and based on Bram Stoker's DRACULA. The film screens at 8pm on Halloween night. 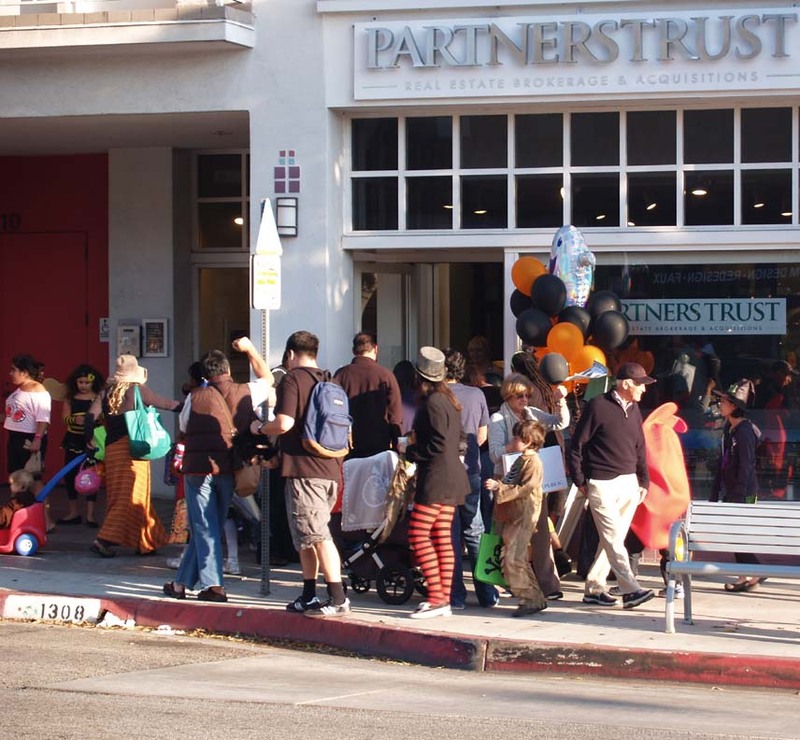 This October, Old Town Pasadena cuts back from its usual two-day celebration of Halloween to a single night of trick-or-treating on October 31. Starting at 5pm, families are invited to bring their costumed kiddies and canines to One Colorado for a family portrait and store-to-store Trick-or-Treating, receiving a variety of treats from participating merchants. There is also a screening of a family-friendly spook show, the 1967 monster mash-up, Mad Monster Party, featuring stop-motion versions all of your favorite classic monsters. Trick-or-treating runs from 5pm until 8pm. Film screens at 7:30pm. As part of its Cine Insomnia series of midnight movies, the Nuart screens the long-running cult film on Friday, October 31. 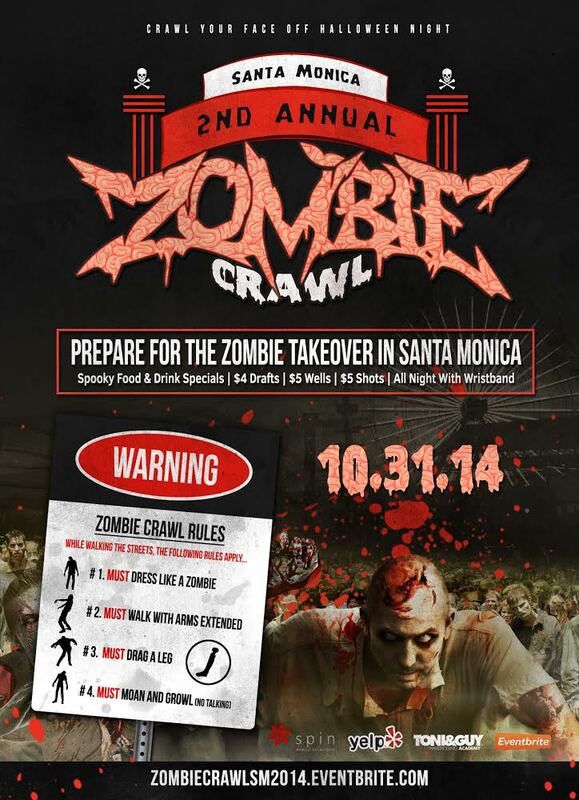 Zombies take over Santa Monica for two terrifying events on Halloween Night: the 2nd Annual Zombie Crawl and the Wok-ing Dead 2 Halloween Party. The Zombie Crawl offers a pub crawl for the living dead from Santa Monica Pier to 5th Street, stopping at participating locations along the way. For $15 ($12 in advance) participants get a wristband entitling them to drink special at five local bars. Makeup artists will be on hand to transform participants, who will be required to act like zombies (arms extended, dragging a leg and moaning). The Wok-ing Dead Halloween Party offers DJ music, food and drink specials, a costume contest, and other seasonal amusements at Wokano on 5th Street. A separate ticket is required: Admission is $15 in advance and $20 at the door; VIP front-of-the-line tickets are an extra $5. These events run from 7pm until 2am on Halloween Night. Zombie Crawl begins at 7pm (check in at 6:30pm). Wok-ing Dead 2 Halloween Party starts at 8pm. 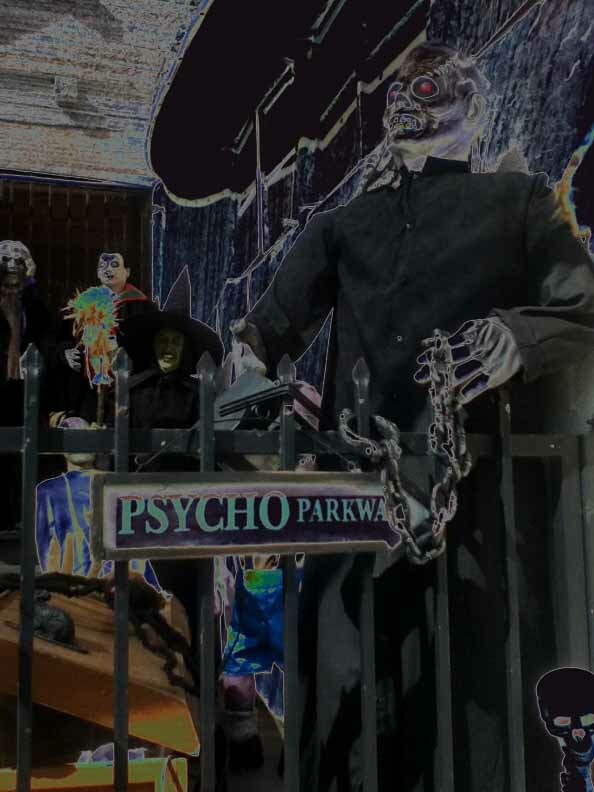 This amateur Halloween yard haunt - which has been in operation several years - features scary decorations with a few animatronics, music and sound effects. Decorations are usually on display by mid-October. On Halloween Night, the owners throw a neighborhood potluck party, offer treats for the local kids, and dress in costume to deliver a scare or two. 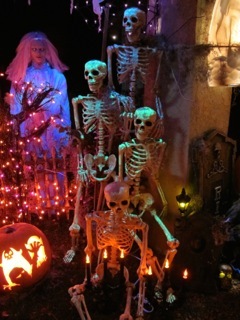 The front yard display has been up for weeks, but the monster will be haunting on Halloween Night only, 7pm until...?